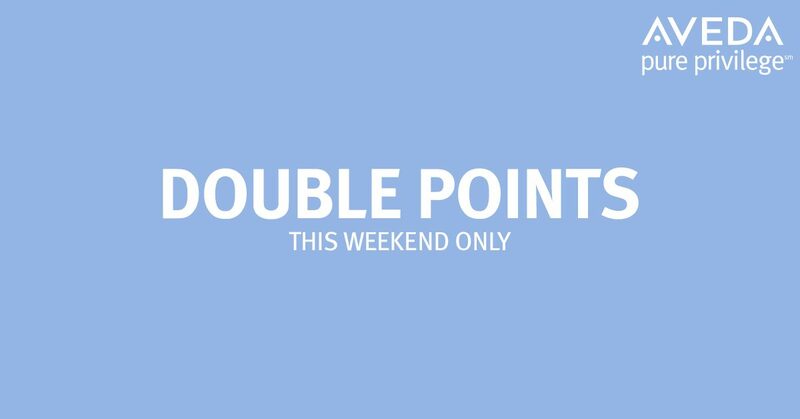 Double points for Pure Privilege is going on this weekend for existing members and TRIPLE bonus points if you sign up on Saturday! New members who sign up on Saturday will also get a 20% off coupon for a product. Current members will be entered into a drawing for another chance to get 20% off their total retail purchase. Pure Privilege is a points system where every $1 spent in product is worth 10 points. It’s a one time enrollment fee of $10. Points can be redeemed for products and services including Aveda salon and spa treatments, Aveda products or a luxury weekend escape.